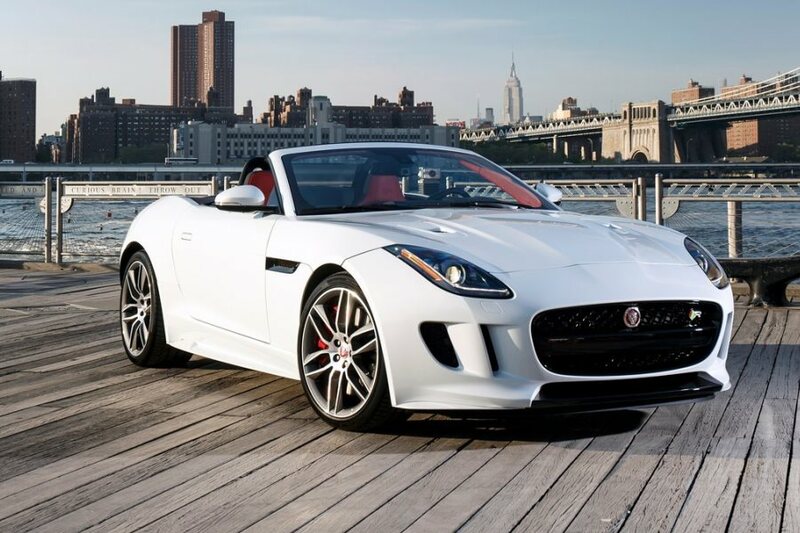 Sure, most folks focus on efficiency when it comes to electric vehicles, but because of the torque-friendly characteristics of electric motors, the fastest EVs can be plenty fast indeed. For example, Blood Shed Motors’ Zombie 222—an all-electric 1968 Ford Mustang—skips the usual diet of brain matter to eat electrons, and the result is 1,800 lb.-ft. of torque and a claimed 0-60 time of 1.79 seconds. Now, you’re not going to find that kind of performance from the production entries presented below, but because electric motors provide maximum torque right from 0 rpm, as opposed to internal combustion engines that waste precious ticks of the clock getting up to speed, most of these choices can dart off the line briskly. 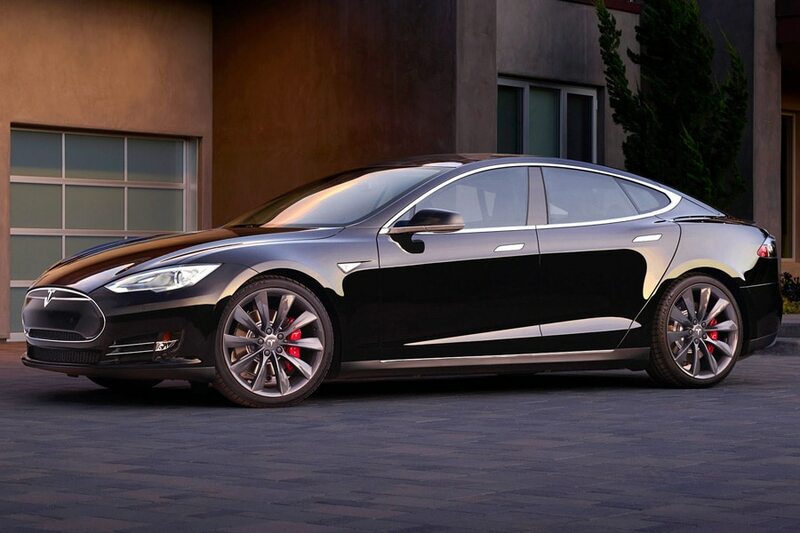 The fastest EVs in the country continue to wear the “Tesla” badge, as drivers of the Tesla Model S, in its range-topping P85D configuration and with its powertrain set to “Ludicrous,” can launch the lightning rod from 0-60 in a sizzling 2.8 seconds. To put that sprint time into context, it’s about 43 percent faster than 0-60 mark posted by the new Porsche 911 Carrera 4S. And while the new Porsche may surprise some people with its 26-mpg EPA high point, the Model S motor delivers a 253-mile all-electric driving range with its 85-kWh battery pack, then can extend that driving potential to 270 miles if owners upgrade to the 90-kWh unit. Tesla tops all the other EVs here in terms of output, thanks to 762 horsepower and 713 lb.-ft. of torque that further gets put to good use in pushing the Model S to a top speed of 155 mph. 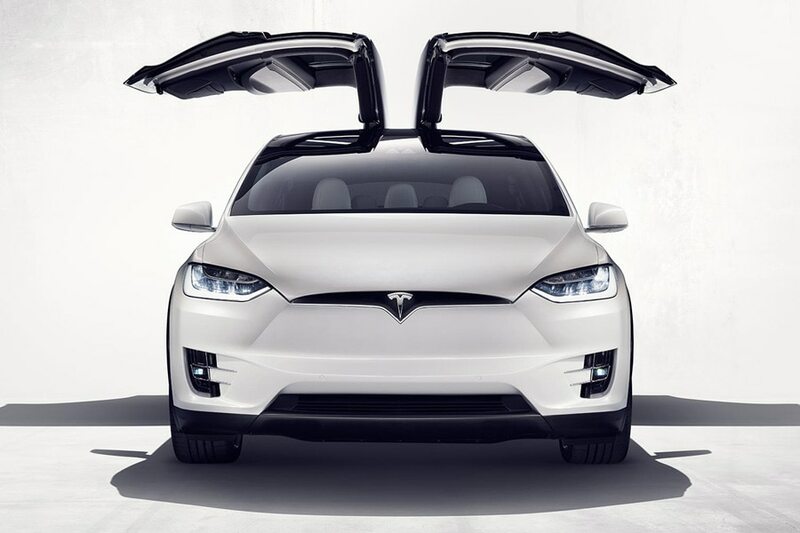 Its “Falcon Wing” doors are no doubt a nifty feature, but they aren’t what allows the Tesla Model X to fly from 0-60 mph in as few as 3.2 seconds. For that, the Tesla brand’s first SUV relies on a 90-kWh electric-propulsion system that can send 259 horsepower to the front wheels and 503 to the rears, while also distributing more than 700 lb.-ft. of torque—and furnishing an EV driving range of more than 250 miles, just like its Sedan sibling. Unlike the Tesla sport sedan, however, the brand’s electric sport-utility can fit seven adults and boasts reconfigurable second- and third-row seating for impressive cargo space, and because of its unique design, the Model X also maintains a front trunk that can fit two golf bags. It even showcases a higher maximum tow rating than many crossovers, compete with the ability to trailer up to 5,000 lbs. 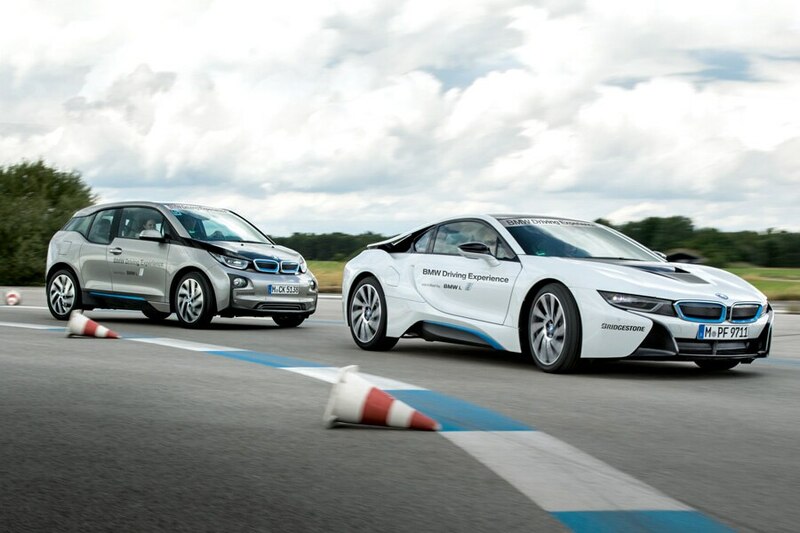 There’s a bit of a leap from Tesla’s two fastest EVs to the rest of the crowd, with the next-quickest all-electric car being 2016 BMW i3. The i3 can accelerate from a full stop to 60 mph in 7.0 seconds in its electric-only setup, which supplies owners with 170 horsepower, 184 lb.-ft. of torque and a 22-kWh lithium-ion battery pack; adding an available range-extending gas engine adds .8 seconds to that. That two-cylinder turbo also welcomes 69 more miles of driving range to the i3 EV’s 81 miles, for a total of 150. 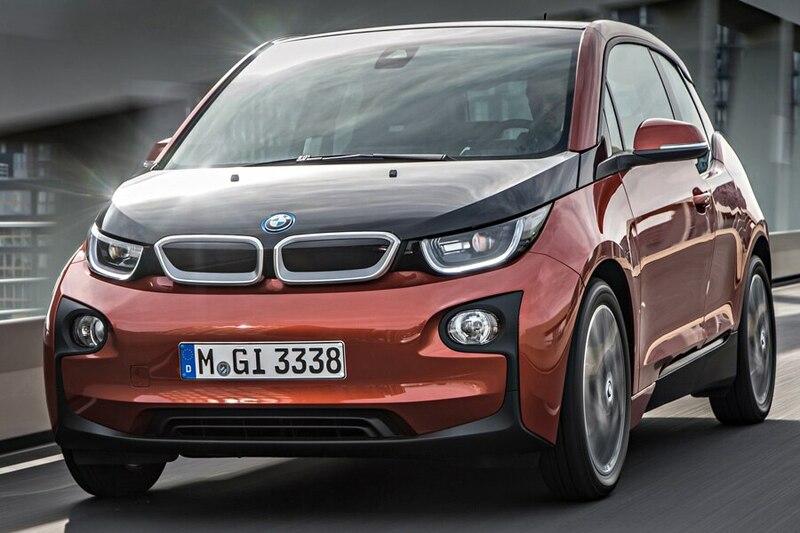 In either scenario, owners additionally enjoy a premium cabin that was chosen as one of the best interiors of 2015 by WardsAuto, and it’s also worth remembering that the i3 range as a whole was honored as the “Green Car Journal” Green Car of the Year for 2015. 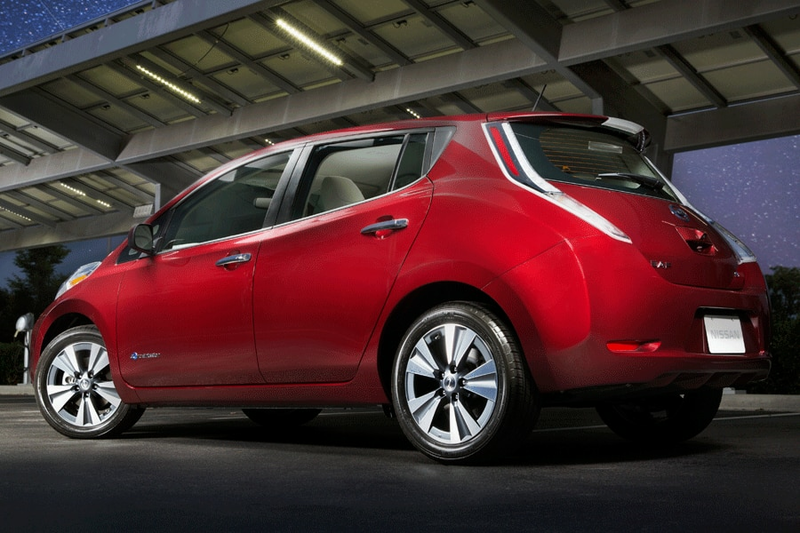 The 2016 Nissan LEAF offers a bigger, 30-kWh battery pack for the new selling season, yet it won’t do anything for fans of the fastest EVs. 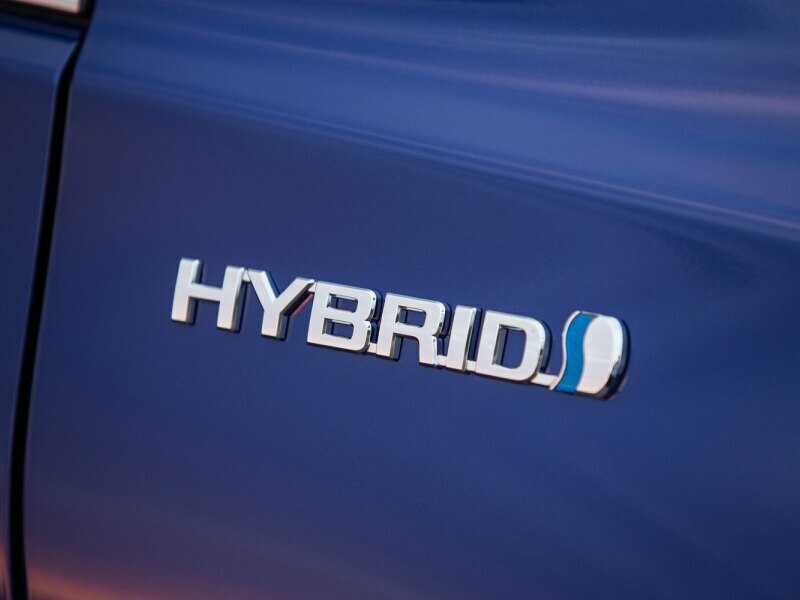 Despite a 25-percent boost in capacity versus the standard 24-kWh unit, the new technology is tuned for further efficiency and produces the same 107 horsepower and 187 lb.-ft. of torque, along with the same 0-60 acceleration of around 10 seconds (depending on your source). That being said, drivers looking for a longer operating range will be able to see an EPA-estimated 107 miles of travel with the larger battery pack, bolstered by fast-charge capability that can “fill” the Leaf with an 80-percent charge in less than 30 minutes. As for the entry-level Leaf S, it can charge—and accelerate—just as quickly, but gets complemented by an all-electric driving range of 84 miles and a newly standard NissanConnect infotainment system with navigation. The Bowtie brand’s “pure-electric urban minicar” makes a mighty 327 lb.-ft. of torque that, for comparison’s sake, represents more twisting power than found in the standard 2016 Camaro—or the turbocharged one, for that matter. As a result, the 2016 Chevrolet Spark EV can ignite 0-60 runs of 7.2 seconds, so it’s not just one of the smallest cars in the nation, it’s also among the fastest EVs currently available. Oh, and it’s the most efficient retail car in the industry, too, backed by an EPA rating of 119 MPGe in combined driving. That, in turn, is good for 82 miles of zero-emissions, all-electric travel. The Spark EV also stands out for its other technologies, like a standard mobile Wi-Fi hotspot, 4G LTE connectivity and Chevy MyLink infotainment with a 7-inch touchscreen. Moreover, Chevy has begun expanding Spark EV availability, recently bringing the car to its first East Coast markets in Maryland. 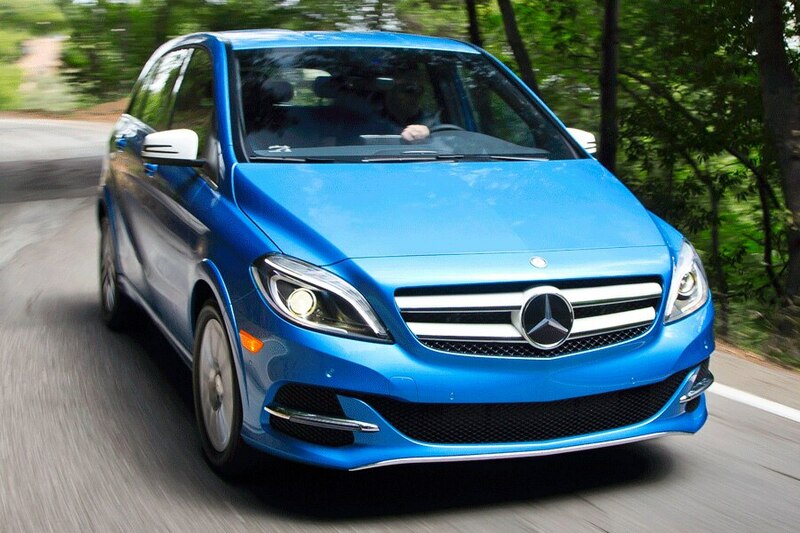 The 2016 Mercedes-Benz B-Class doesn’t look like any other Mercedes available on our side of the pond, and nor does it drive like one. Thus, the B250e represent both the brand’s first five-door hatchback for U.S. customers and its first EV for this market as well. 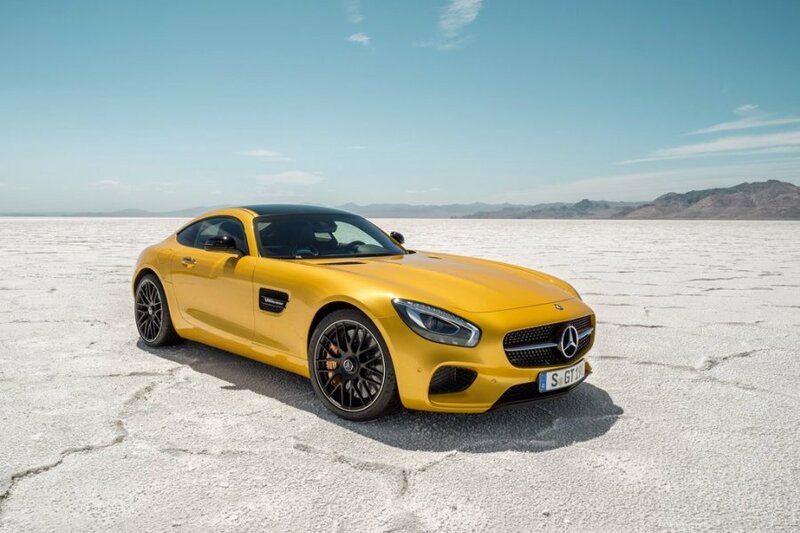 On the other hand, the car does keep alive Mercedes’ tradition for innovative engineering, in this case through features like its electric propulsion system. The setup supplies 177 horsepower and 251 lb.-ft. of torque, with the latter enough to let drivers go from 0-60 in 7.9 seconds in another of our fastest EVs. The car is likewise quick to charge, too, so that owners can plug into a 240-volt outlet and gain 60 miles of range in just two hours. Speaking of range, the overall total for the B250e is 83 miles, all supported by typically Mercedes levels of luxury. Although exact, official numbers are hard to come by, the 2016 Fiat 500e touts 0-60 acceleration that’s slightly above 9 seconds. 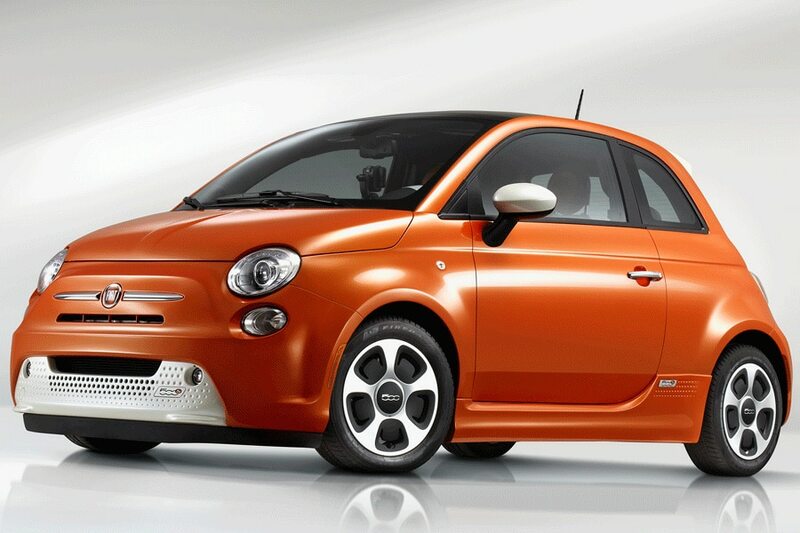 That time may not be quite enough to push the car into the upper echelon of today’s fastest electric vehicles, but Fiat does target “world-class EV handling and braking performance” with the 500e. 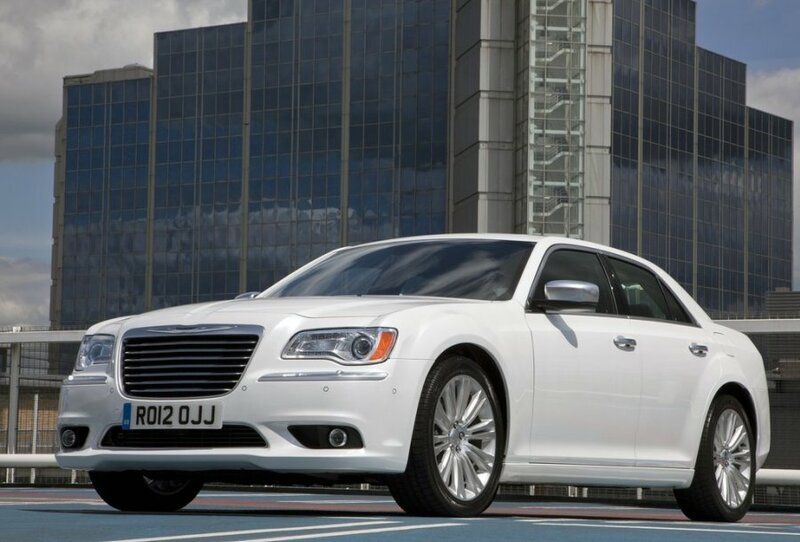 Helping achieve that goal: a lower body structure that’s 10 percent stiffer than that of the gas-powered 500, a more balanced front-to-rear weight distribution, and an exclusive “blended braking system” designed to provide the same feel as traditional stoppers, yet still leverage regenerative braking to boost the battery. With a 24-kWh battery bundle and an electric motor that makes 111 horsepower and 147 lb.-ft. of torque, the 500e additionally enables 87 miles of all-electric, combined city/highway driving, according to the EPA. 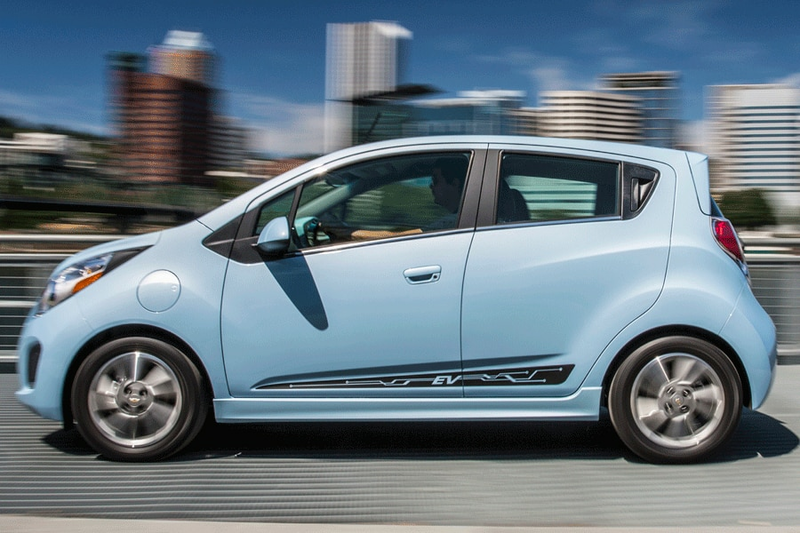 According to Fiat, that stretches beyond 100 miles in urban-only travel. 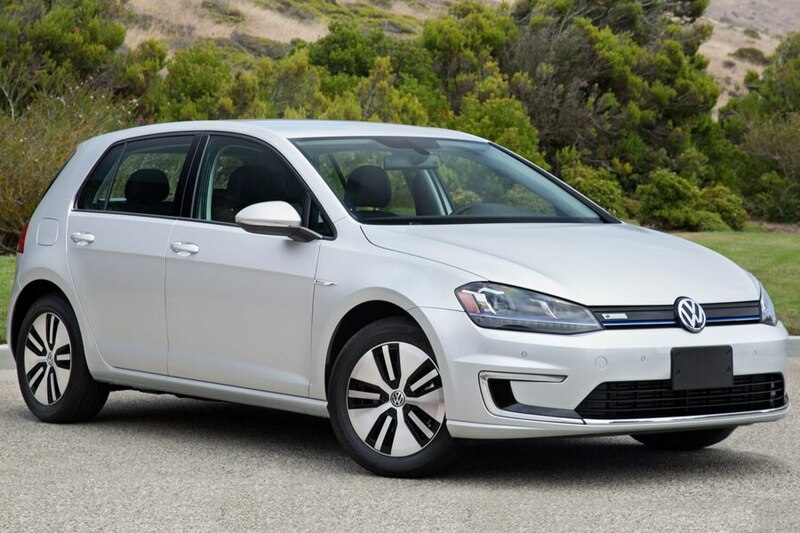 It turns out that VW still offers an especially efficient choice in the compact class, and not only is the 2016 Volkswagen e-Golf notably green—complete with a gasoline-free driving range of 83 miles—but it’s also one of the industry’s fastest EVs. Of course, as you could probably tell by now, that doesn’t mean anyone will confuse the electric Golf with its higher-powered hot-hatch variants, the GTI or Golf R. But the e-Golf does share the same rigid foundation as those entries, and it also benefits from a standard XDS Cross Differential, so it features fairly sharp driving dynamics to go with a 0-60 time of 10 seconds flat. At the same time, the e-Golf’s range can reach 83 miles, or even further: The car furnishes multiple driving and braking modes that allow owners to fine-tune operation for increasingly higher levels of efficiency, albeit while restricting powertrain output and top speed. At this stage, the Blue Oval may need to re-focus its efforts if it wants to stay on the cutting-edge of the electric-vehicle revolution. 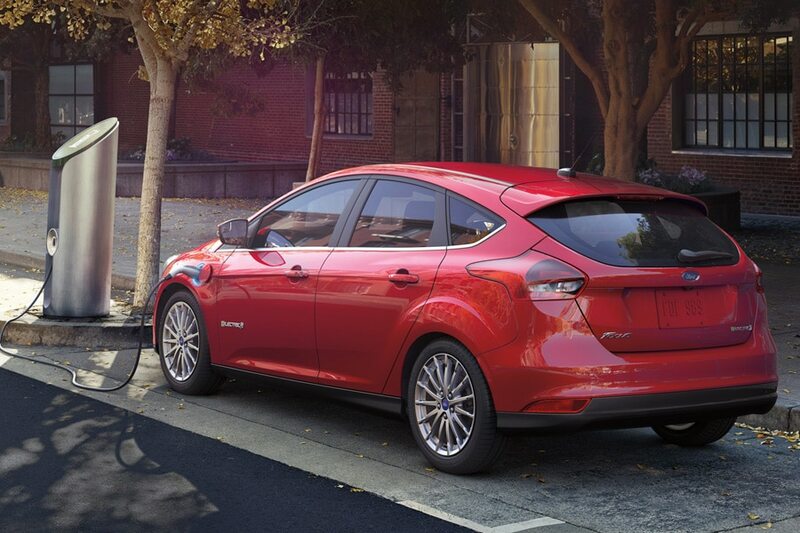 After all, though the 2016 Ford Focus Electric remains competitive against most of the fastest EVs—see its 0-60 time of 10.1 seconds—the five-door compact hatch has an EPA-certified range of 76 miles, and that’s the lowest limit here. 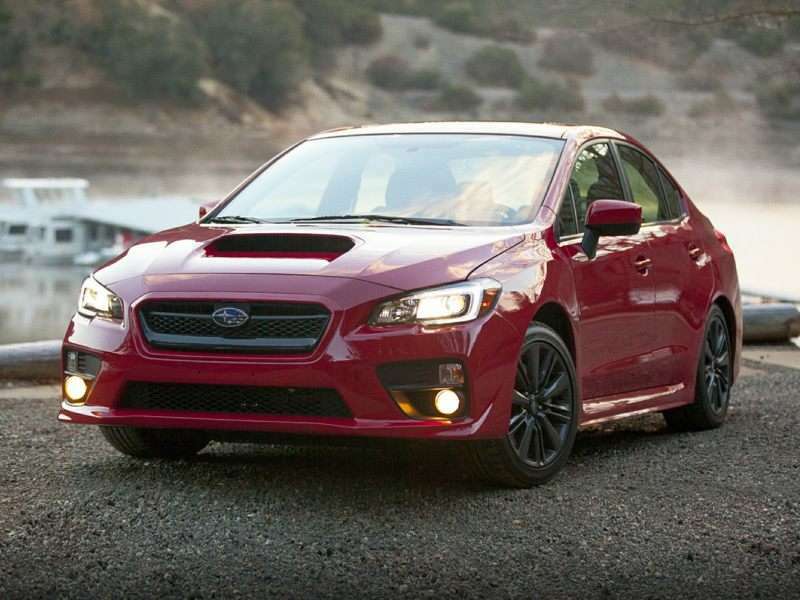 Somewhat making up for that is a noticeable increase in standard equipment for the 2016 selling season, highlighted by the debut of the latest SYNC 3 infotainment technology. Easier to use than ever, the new system brings a more intuitive user interface, faster speeds, enhanced voice recognition and more. There’s also more new standard equipment, such as a rearview camera, a leather-wrapped parking brake, 2-amp USB ports for device charging and Ford’s “MyKey” technologies for dealing with younger, more inexperienced drivers. There’s no getting around it: The 2016 Kia Soul EV is the slowest of the fastest EVs, since its 0-60 performance peaks at 11.2 seconds. Yet getting around in the car itself does have its share of advantages. For instance, the eclectic design of the electric Soul is a further advance on the funky original, and its dramatic appearance is matched by a dramatic decline in gasoline consumption for its owners. 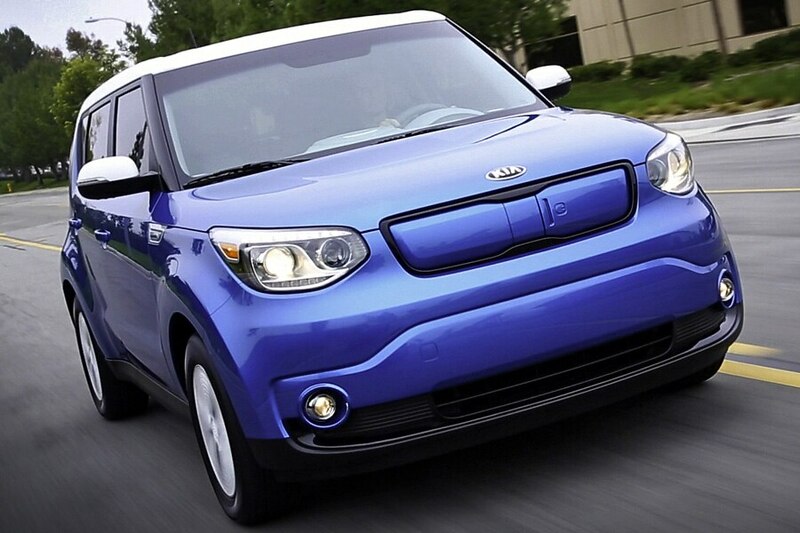 Consider: By relying on Kia’s lithium ion polymer battery, the Soul EV serves up an all-electric driving range of 93 miles, with absolutely no tailpipe emissions. Eco-friendly shoppers should remember that the Soul EV’s cabin contains significant amounts of bio-based plastics as well, replacing petroleum-based materials with alternatives made from cellulose and sugarcane—and earning industry-first validation from United Laboratories in the process.